Middletown Country Club has been a Bucks County tradition in historic Langhorne, Pennsylvania since 1913. 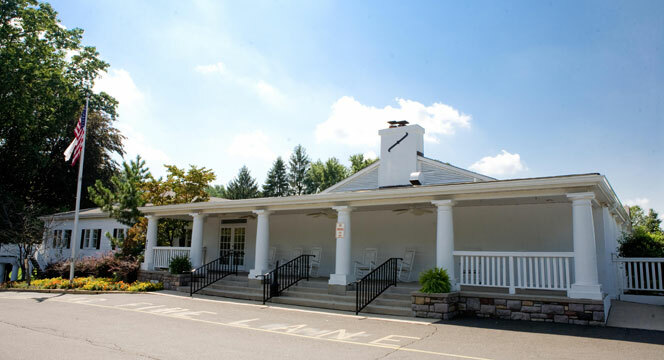 Owned by Middletown Township since 1987 and managed by the Agro Golf Corporation, the club offers a family-like feel because it is family run. Over $600,000 in improvements have been undertaken since 2008. The club offers amenities for golfers and non-golfers alike. Par-69 6,217-yard classically-designed golf course that has been played by World Golf Hall of Famers such as Ben Hogan, Henry Picard, Leo Diegel, Vic Ghezzi, George Fazio, and Johnny Miller. Gary Player, one of five players to win golf’s four major championships, was the playing professional representing Langhorne CC during the early 1960s. The summer swim club is one of the Langhorne area’s most popular family attractions with it’s own membership. The pool facility includes a full-size pool with diving board, waterslide, and lap lane. A baby pool with water fountain provides toddlers and youngsters the ability to splash the day away. A snack bar, kids play area, basketball court, and a private party tent also are part of the swim club’s offerings. Hacker’s Pub and Grill is located on the first floor and serves lunch and dinner in a traditional sports bar atmosphere complete with shuffleboard table, five flatscreen plasma televisions, and a variety of beers on tap and by the bottle. The Ball Room, Manor Room, and Windsor Room all offer the right location for private parties, banquets, weddings, funeral luncheons, and much more. Executive Chef William Garber offers a wealth of menus customized to make each event special. The golf shop at Middletown offers the golfing guest the ability to purchase the latest golf equipment and apparel. PGA Professional Dan Hoban offers clubfitting, individual and group golf lessons, and USGA handicap services. Middletown also conducts a junior golf program for new and experienced young golfers ages 6-10 and 11-17 during the summer months. The program is designed to help juniors develop a love for the game and have fun while preparing the older youths for high school golf.